commented on "Chris Maher witnesses evolution in action during Heron Island's turtle hatching season ..."
Calmed by flutes of chilled champagne, my wife and I felt highly privileged as we sat by ourselves on the white Heron Island sand, watching an orange sun slink beneath the shimmering waters of the Barrier Reef. Then, as the dark set in, we felt something scuttering over our feet. Coming from Sydney, we had just one thought: "Cockroaches!" But nothing could have been further from the truth. As we peered through the dusky half-light we spied the cutest thing evolution ever came up with - baby turtles, exact replicas of their giant parents only as small as mice. Behind us, we could hear a soft crackling as the hatchlings broke out of their eggs, and as they made their dash to the water our feet were just like any other tree trunk or sand dune that had to be overcome by the determined paddling of soft flippers. We had to squint in the dark to follow their progress to the sea and their new life - torches are a definite no-no when watching hatchlings, as the turtles have an amazing photographic memory which captures an image of the beach where they were born. Eventually, they will use that information to return to the same spot to lay their own eggs. Bright lights hamper their snapshot processing. The next day we swam with the mother turtles in the shallows close to the island, and that evening we decided to take our champagne to the beach an hour earlier, to ensure a clear view of the hatchlings. Other resort guests had the same idea, and were rewarded with the sight of dozens of baby turtles clambering over the dunes and making a dash for the water. But we were all horrified to see seagulls swarm over the narrow strip of beach, pecking off the hatchlings at will. "It's not as if they're exotic birds," said one British guest. "Just bloody seagulls." The resort's brief was very clear - let nature take its course. But the human guests of the island could stand only so much torment watching delicate, beautiful creatures being chomped on by airborne vermin. They threw themselves into the fray, frightening off the birds as they made their diving raids. Harbouring just a smidgin of guilt, the humans went back to relaxing on the beach and watching the rescued babies head out to sea. 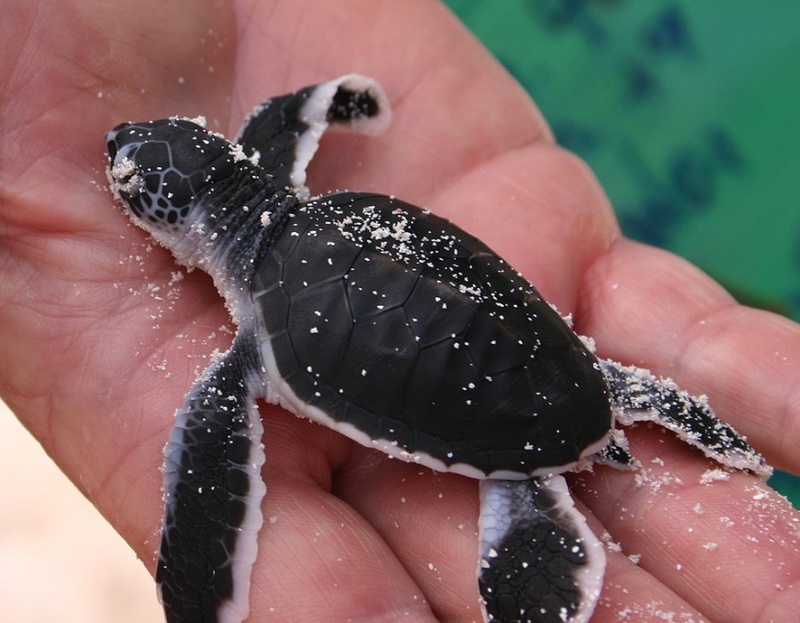 Only one turtle in 10,000 will survive to adulthood. The guests thought they may have shortened the odds slightly, and suppressed smirks of satisfaction as the hatchlings dived between the waves. Their satisfaction was short lived, however. "Look, is that a mother turtle out there?" one guest asked. But it soon became clear that what looked like turtle flippers were in fact shark fins: the reef sharks were gathering for their supper. Reef sharks are quite harmless to humans, but despite that fact, no saviour offered to swim out and shoo them away, and evolution was left to take it's relentless course. Nature does have a way of getting even. This story first appeared in the Australian and was reproduced for high school students by Macmillan in Text in Action.